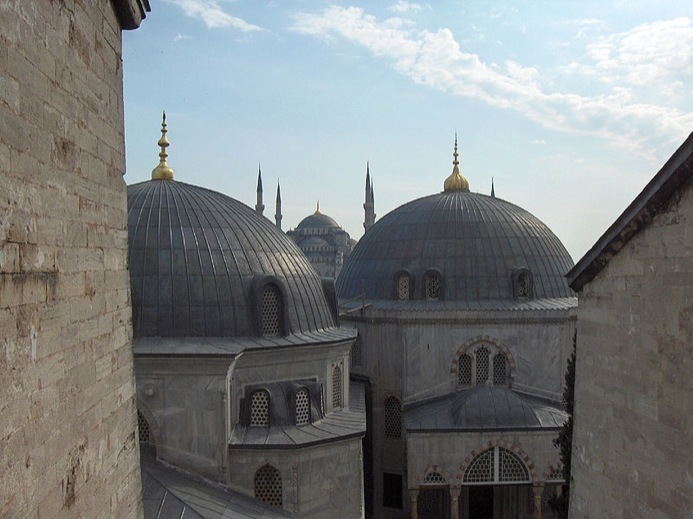 “Historic” barely begins to convey the intricate layers of ancient past that weave their way into Istanbul’s present. As a way for new visitors to get to know Turkey’s capital city, we’ve invited one of our Istanbul guides to share his Top 5 things to see and do there. Faruk is one of the youngest guides on ToursByLocals; he’s also one of our must popular! 1. Hagia Sophia Museum: Hagia Sophia was the most important and biggest church all over the world around thousands years and then when the Ottoman Empire conqured the city from Byzantium Empire, they converted it to a mosque. In 1935, by the order of Ataturk who is founder of modern Turkey it converted to a museum. 2. Topkapi Palace Museum: The first buildings of the Topkapı Palace, the primary and official residence of the Ottoman sultans, were constructed after the conquest of İstanbul in 1453, between 1460 and 1478, by order of Sultan Mehmed II the Conqueror (Fatih Sultan Mehmet). The palace was built on the site of the acropolis of the ancient city of Byzantion located on the Seraglio Point (Sarayburnu), at the end of the historic peninsula of Istanbul between the Sea of Marmara, the Bosphorus and the Golden Horn. 3. Istanbul Archaeological Museums: The İstanbul Archaeological Museums are located on the hill that hosted the Ottoman throne for hundreds of years, on the way leading to the Topkapı Palace. And the slope leading to those museums is named after their founder, Osman Hamdi Bey. 4. Suleymaniye Mosque: The Suleymaniye Complex, consisting of a large number of courtyards and a caravansarai, was constructed starting on June 13, 1550 through October 15, 1557 by Architect Sinan (the grand old master of Ottoman architecture). A total of 3,523 workers were employed during the construction of the complex. 5. Turkish Bath Experience: The Çemberlitas Historical Bath is located next to the Çemberlitas Column, near the Grand Bazaar. It was built by architect Sinan with the wish of Nurbanu Sultan, the mother of Sultan Murat III and the wife of Selim II, in 1584. Thanks Faruk! If you're planning a trip to Istanbul in 2012, consider getting in touch with Faruk and getting insight into Turkish life from a local.